Read the sample chapter and it is a great book. I will wait for the print version to be published will it be in colour or black and white. Thanks. The book will be in color. It is now January 2017 and Amazon still does not list a hard-copy (print version) for sale. Is there a new date for availability of the printed version? I have a comment on FFTChapter6, equations 6.1, 6.2. and 6.3. Given the definition 6.2, then 6.3 is always 0. First of all, I am a great admirer of your website. 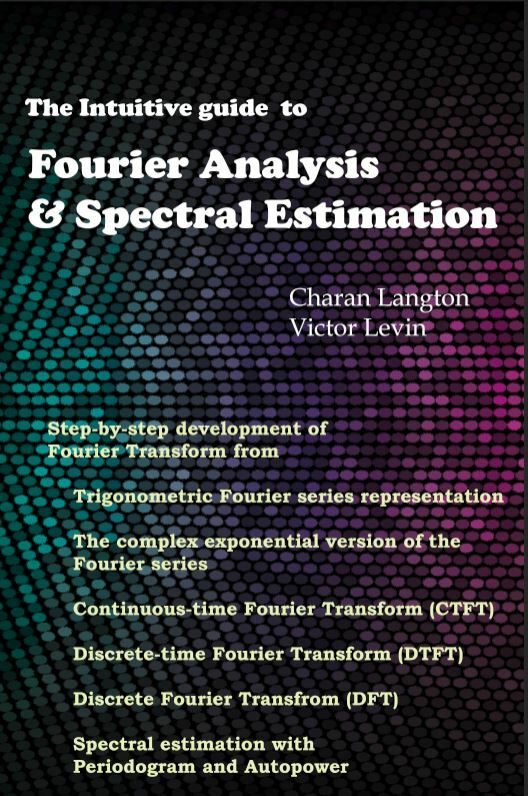 So when I found out you wrote a book on Fourier Analysis I knew I had to buy your ebook. However there is a HUGE!!! problem with your ebook. It won’t open on the Amazon cloud reader!!! It can only open on a single kindle device or on a phone/tablet containing the kindle app. As of now, you are the only Amazon ebook in my 239 ebook collection that won’t open on the amazon cloud reader. Can you PLEASE make your book available on the amazon cloud so it can be properly studied and read by anyone, anywhere, on any device in the world? I myself read technical ebooks on my laptop when I travel or on my desktops when I need larger viewing screens for charts and equations and a desk to write on. This is only possible because of the amazon cloud reader. Also, when will you be printing a hard copy of your book? I would love to own both a digital and a hard copy of your work. Thanks. The print copy should be out by end of April 2017. About the eBook, unfortunately I don’t control what devices it will work on, Amazon does that. I will look further into this issue but right now I dont know as I can help much.